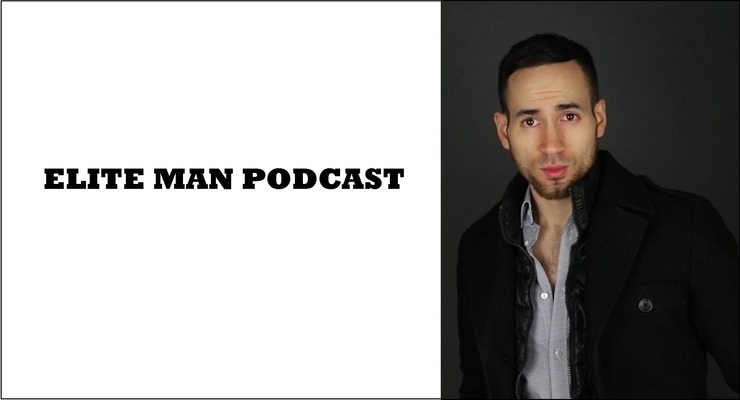 Justin Stenstrom, nationally-acclaimed life coach, author, entrepreneur, and speaker, joins our show in this special episode of the Elite Man Podcast! In today’s episode Justin takes listeners questions and covers a diverse number of topics regarding personal and professional self-mastery. He covers mindset, confidence, business, dating, and health questions from some of his most engaged podcast listeners. Justin goes deep into depth on these questions and leaves nothing back in his quest to helping listeners find the solutions to their most pressing questions. If you’re wondering what Justin recommends for a litany of life questions for both personal and professional success, check this episode out now! *Subscribe to our YouTube channel by going to EliteManMagazine.com/youtube right now! * Have you joined the Elite Man Newsletter yet? If not, get on it now! Go to EliteManMagazine.com/newsletter and sign up to get special Elite Man content not seen nor heard anywhere else. Get all of our bonus podcast information, sneak peaks into upcoming shows, behind-the-scenes content, special offers, and exclusive Elite Man updates you won’t find anywhere else. I’m telling you if you’re not on our newsletter yet you’re missing out. Go to EliteManMagazine.com/newsletter and become a true member of the Elite Man Community. I look forward to speaking soon. EliteManMagazine.com/newsletter. * In today’s age, it can be hard to find the time to sit down and learn more. It’s not easy when the likes of social media can be so addictive and time-consuming – so you may think you don’t have the time to read a book or to develop yourself. There is however, an app I highly recommend, it’s called Blinkist. Blinkist is the only app that takes the best key takeaways, the need-to-know information from thousands of nonfiction books, and condenses them down into just 15 minutes so you can read or listen to. Blinkist is made for busy people like you, who want to get the main points of the books quickly without reading the entire book. With an audio feature, Blinkist makes it so easy to finish 4 books a day while you are on the go. 8 Million people are using Blinkist right now and it has a massive and growing library: from self-help, business, health to history books. I like Blinkist because, in less than 15 minutes, I feel like I can fast-track my path to a more intelligent/informed me. I use Blinkist most mornings when I’m making my morning smoothie. In fact this past week alone I’ve gone through The 7 Habits of Highly Effective People by Stephen Covey, The Power of Habits by Charles Duhigg, and Start With Why by Simon Sinek. I love being able to breeze through some of these incredible books and still get the main takeaways from them. It’s actually really, really cool. Right now, for a limited time Blinkist has a special offer just for our audience. Go to Blinkist.com/ELITE to start your free 7 day trial. That’s Blinkist.com/ELITE to start your free 7 day trial.